Bitcoin is what is known as a virtual currency. 1 A virtual currency is a means of payment; that is, units of the virtual currency represent a value. It is intended for use in payments within a specific virtual community, such as a particular website, or in a network of users with special software for managing the virtual currency and making payments. This type of virtual community can thus be said to resemble a voluntary agreement to use a specific item as a means of payment. This is an important difference to national currencies, such as the Swedish krona. For the latter, it has been established in law that the monetary unit in Sweden shall be called the Swedish krona. 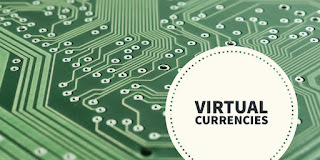 The virtual currency thus has a different unit of account than national currencies. For Bitcoin, the unit of account is the Bitcoin itself. The issuer of the virtual currency can be a non-financial company or even a private individual, but such an issuer is not under the supervision of a government authority. The issuance of virtual currency is thus not a government-regulated activity. 2 However, each virtual currency has some type of rules of its own governing where and how it may be used, and some form of technical infrastructure in which the payments are carried out. The virtual currency, the own set of rules and the technical infrastructure combined form a small payment system, hereinafter referred to as a virtual currency scheme. There are a large number of virtual currency schemes that have been built up, and function, in different ways. They can be broken down into different categories depending on the extent to which it is possible to buy and sell the virtual currency. Here, we divide them into virtual currency schemes that are closed, with unidirectional flow and bidirectional flows. In closed virtual currency schemes, the virtual currency can be neither bought nor sold, but only earned and used on certain websites (such as World-of-Warcraft Gold). If the virtual currency can be bought for national currency but not exchanged back, the scheme has a unidirectional flow (such as Amazon coins). When the virtual currency can both be bought and sold and used outside of a certain website, the scheme has bidirectional flows. As explained below, Bitcoin is an example of a scheme with bidirectional flows. However, these categories can overlap. A further distinction that can be made is whether the virtual currency is centralized or decentralized. As with banknotes and coins, payments with virtual currency units are made by means of them changing ownership. The ownership structure must therefore be registered somewhere, otherwise it might be tempting for a virtual currency unit holder to duplicate it and use it multiple times. A centralized virtual currency scheme has a centralized system for verifying and executing transactions, often with the issuer. In practice, the latter administrates all of the accounts through which the payments are made. In a decentralized virtual currency scheme, like Bitcoin, the transactions are instead verified and executed via the network of users that carry out some form of activity to this end. The right to register events is thus delegated to the network’s participants.4 The decentralized virtual currency schemes are not uncommonly based on an exchange of encrypted messages and are therefore usually called cryptocurrencies. The anonymity and security that this provides are the fundamental concepts on which Bitcoin rests.